March 8, 2017 – San Diego, CA — 2016 was a big year for Johnson & Johnson’s oral anticoagulant Xarelto. The blockbuster drug brought in more than $2.2 billion in sales for the company and its Janssen Pharmaceuticals division. 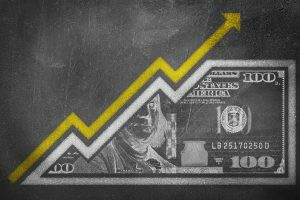 That’s an increase of about $420 million – or 22.5% — from 2015, according to J&J’s annual report released Feb. 27. Strong sales aren’t the only big numbers facing J&J and its anticoagulant. There are roughly 16,900 Xarelto lawsuits now pending in state and federal courts nationwide, according to the same annual report. And more are expected to be filed. These lawsuits accuse J&J and Janssen of designing a defective drug and failing to adequately warn about its risks. Xarelto has been associated with an increased risk of uncontrollable bleeding, especially gastrointestinal, rectal, and brain bleeds. Although all anticoagulants increase the risk for bleeding, Xarelto is especially dangerous because there is no approved antidote to stop a Xarelto bleed. People have suffered life-threatening bleeds that left them hospitalized and some have reportedly died as a result of taking the drug. Xarelto was approved by the U.S. Food and Drug Administration nearly six years ago in July 2011, despite the fact that there was approved antidote to stop a bleed. The drug was originally approved to treat deep vein thrombosis (DVT) and pulmonary embolism (PE) in people undergoing hip or knee replacement surgery. DVT occurs when a blood clot forms in one of the body’s deep veins, usually in the leg. PE occurs when that blood clot breaks off and travels to the lungs. 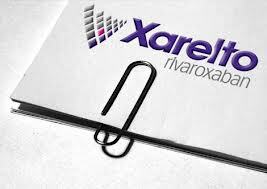 About a year and a half after its initial approval, Xarelto’s use was expanded to include the prevention of DVT and PE and to reduce the risk of stroke in patients with the heart condition atrial fibrillation. Without an approved antidote, a Xarelto bleed can be life-threatening. A Xarelto antidote is being developed by the pharmaceutical company Portola, but its approval was stalled by the FDA in August last year. The regulatory agency said it needed more information about the breakthrough therapy before it could approve it. Even with an approved antidote, Xarelto patients are still at an increased risk for side effects. There are nearly 17,000 lawsuits against the makers of Xarelto, Johnson & Johnson subsidiary Janssen Pharmaceuticals, pending across the country.